The increased mobility of goods, capital, and people was an epochal marker of the nineteenth century. Technological infrastructure sped up all forms of circulation and collapsed time and space dramatically. Accelerated mobility disrupted economic patterns around the globe, brought violent conquest and dispossession to new continents, and environmental cataclysm to those places where the raw materials (coal, copper, gold) that powered it could be found. This dramatic spatial, temporal and imperial transformation of the world — and of social existence for its inhabitants — is perhaps the most expansive version of the analytical category “everyday empire” that emerged in Birmingham this May. These observations, part of the debate at the conference, have continued to resonate for me since I picked up my research tools again this summer. But so has one nagging doubt: does such an expansive version of “everyday empire” risk attenuating, as Nathan Cardon and Simon Jackson wondered in a previous post, our analyses of specific local, regional, transnational, and global processes? In fact, this doubt has been especially productive as I have begun to grapple with the history of the World’s Transportation Commission (WTC), organised in the United States in 1893, which provides a concrete means to interrogate the analytical capacity of the category “everyday empire”. Following the 1893 World’s Columbian Exhibition, leading Chicagoan Marshall Field donated $1 million for the creation of a museum permanently to house exhibits from the Fair in the city. Today this is known as the Field Museum. The museum’s supporters set about supplementing these exhibits through donations, purchase, and the collection of new material. To add further to the history of transportation, the World’s Transportation Committee was founded. For its leadership, Field turned to Major Joseph Gladding Pangborn, the larger-than-life publicity agent for the Baltimore and Ohio railroad. Under Pangborn’s direction, the Commission spent two and a half years at sea, at a cost of $25,000. Tracking the maritime infrastructure of the British Empire, the Commission sailed first to North Africa, passed through the Suez Canal, and crossed the Indian Ocean to Ceylon, India, Pakistan, Bangladesh, and concluded by touring the Pacific from China and Japan to Australia, New Zealand, and Fiji. 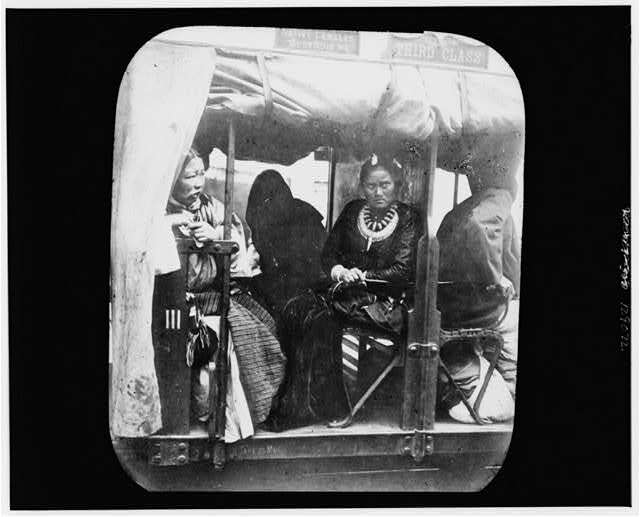 Along the way, the Commissions photographer William Henry Jackson, lured by Pangborn’s offer of a “munificent salary”, collected images of railroads, horse-drawn wagons, rickshaws, sedan chairs, harbours and other scenes (all of which are now housed at the Library of Congress). Jackson’s images catalogued a whole host of technologies of globalisation and the infrastructure of mobility so central to the themes of this conference. Some images even document colonial subjects hard at work constructing these very technologies – deliberately just out of shot were the colonial administrators, foremen, and engineers who coerced them. Previously in this series my co-panellist Charles Fawell evaluated the ways the maritime infrastructure of ships and harbours became a theatre for contentious colonial labour relations. How these images were presented at the Field Museum, we do not know, but they had an imperial life all of their own outside it. Jackson’s images were soon familiar to many middle- and upper-class Americans through the pages of Harper’s Weekly, which published regular articles on the WTC’s progress. Jackson subsequently turned his negatives into hand-painted lantern slides, which he displayed at women’s clubs, travel societies, and churches around the country. In 1898, Jackson then joined the Detroit Photographic Company, using the same negatives as the basis for the firm’s postcards and stereograph views. Through these varied vectors of dissemination, new imperial mobilities entered homes and classrooms. These images did not simply convey messages about the collapse of time and space, but also offered an index of socio-cultural difference to arm-chair travellers. Just as in Jasmin Daam’s paper on Syrian postcards, Jackson’s images presented idealized and exoticised others for consumption at home. Among the railways and rickshaws are posed “type” or “costume images” of people he deemed “peasants”, “wives in their best clothes”, and “warriors”. These images were part of a thriving culture of international travel in the United States that made distant places a part of everyday life (though the US was not unique in this regard). For historians, these images expose the powerful asymmetries that structured imperial everydayness. 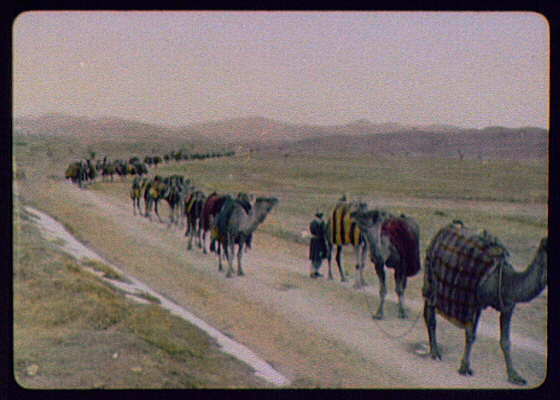 Jackson’s lantern slides, postcards, and stereoscopes were only made possible by the imperial world system. As Kristin Hoganson has written elsewhere: ‘the culture of travel was a component of imperial culture’.1 For many, mastering mobility through travel denoted social standing, was a signifier of the privileges of whiteness, and was a mark of the freedom of so-called civilized peoples to traverse the globe at will – even when such journeys were undertaken from an armchair, through the viewfinder of a stereoscope or in a magic lantern show. In the imperial metropoles of the nineteenth century, nothing was more everyday. 1Kristin Hoganson, Consumers Imperium: The Global Production of American Domesticity, 1865-1920 (2007), p. 183. Stephen Tufnell is Associate Professor of Modern US History at St. Peter’s College, Oxford.